PlanARoute is a great tool for creating or recording multi-stop driving, walking, cycling or point-to-point routes. More than directions from points A to B, PlanARoute gives you directions from points A to Z. Use it to plan or record a tour or any other multi-stop journey. Interested in knowing where you have been but do not want to waste battery power running your device’s GPS? 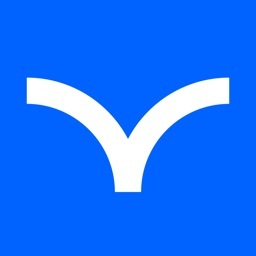 Just take a photo at key points in your journey and PlanARoute will plot on a map those photos and generate a route with addresses, distances and directions from those photos. Included are two example tour routes (New York and Central Park) which demonstrate the features of PlanARoute. No need to learn complex software. 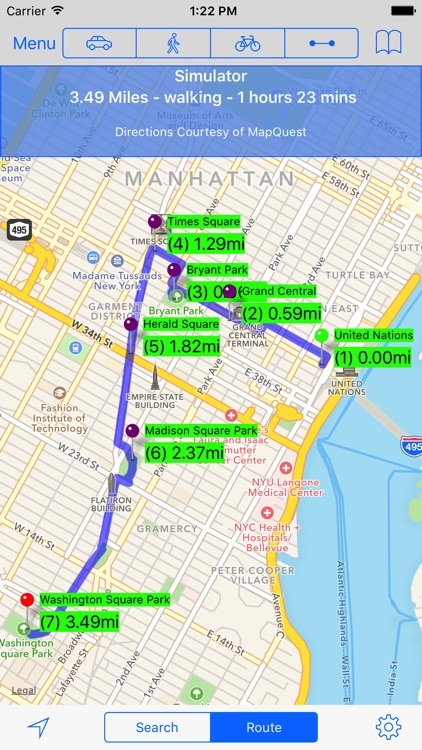 View and play with these example tours to learn how to use this app and use them as a model on how to create your own routes. 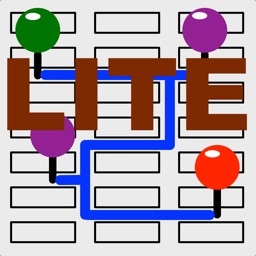 ▪ Create walking, cycling or driving routes of up to 26 locations while connected to the internet. 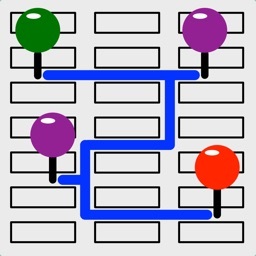 ▪ Create point-to-point routes with an unlimited number of locations even when your device is not connected to the internet. ▪ Preserves your privacy by storing your data on your device, not on a website you have to log into to use. ▪ Sync routes among your devices and the devices of your friends and associates by emailing the route to them. 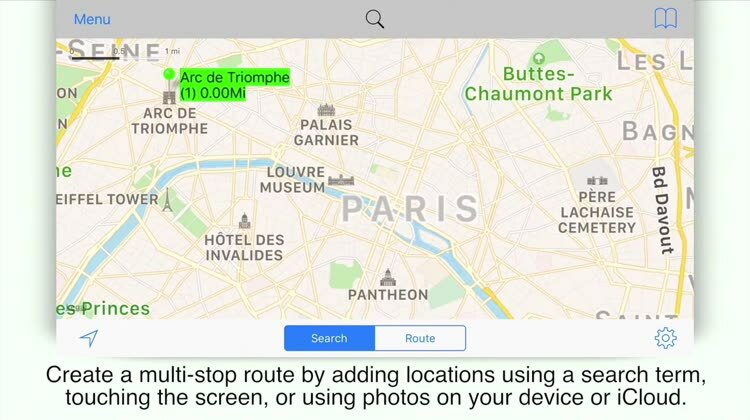 ▪ An unlimited number of routes can be saved and viewed even when your device is not connected to the internet. ▪ Emailed routes have a image of your route, a text description of your route, and both GPX and KML attachments that can be loaded into Google Maps and Earth or GPS devices. 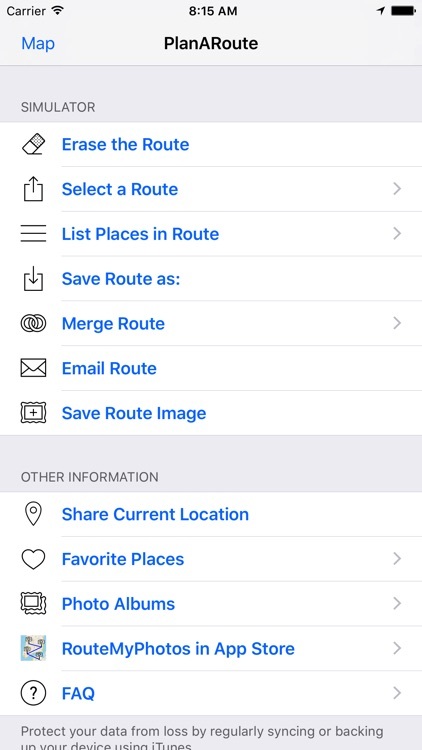 ▪ Add locations to a route by touching the map, selecting an address from your Contacts or Favorites library or by typing an address in the search area. 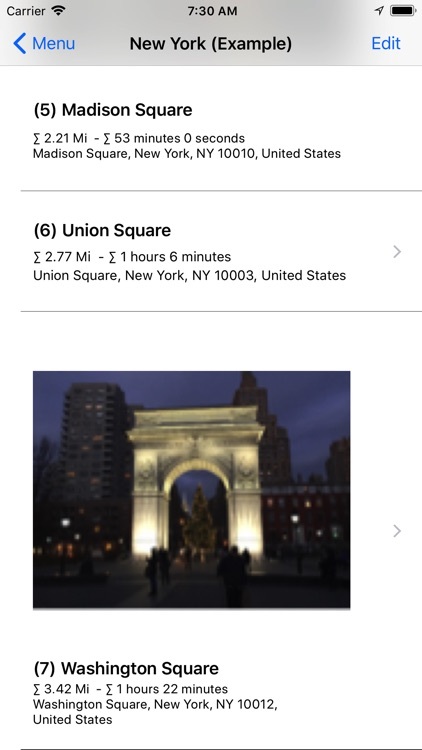 ▪ Locations can also be added based upon the location of photos on your device or in iCloud. 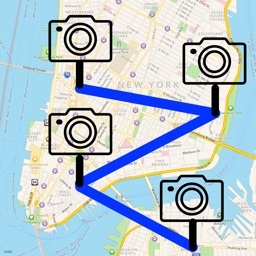 ▪ View a slideshow from any photos in your route. ▪ Locations can have their order, address and distance displayed on the map. ▪ Locations can be displayed on your map while not being included in your route's path. 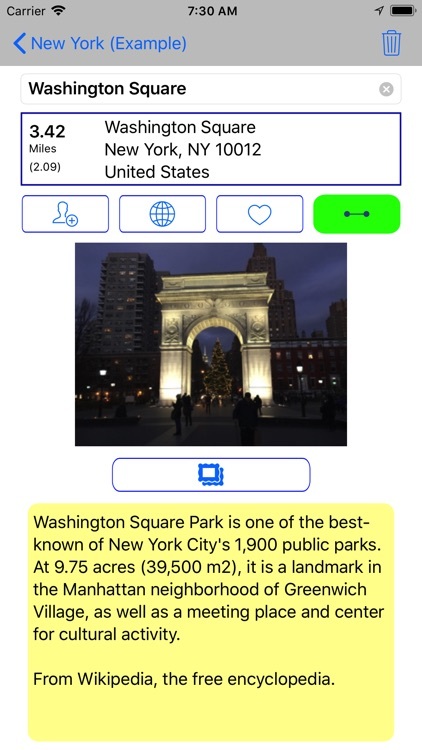 ▪ Locations can have a photo and note description attached to them and saved into a Favorites library. 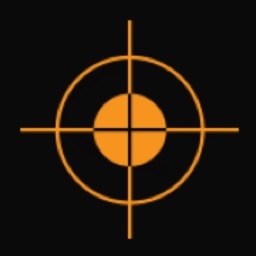 ▪ Location address information can be added to your Contacts Address book. ▪ The order of locations can be modified or reversed. ▪ Both visual and written directions with distance and time estimates are created for a route. ▪ Distances are measured in miles or kilometers. ▪ The distance to a pin location from your current location can be displayed. ▪ A scale of miles/kilometers is displayed at the top of your map. ▪ A compass and your directional heading can be displayed (iPhone and iPad only). 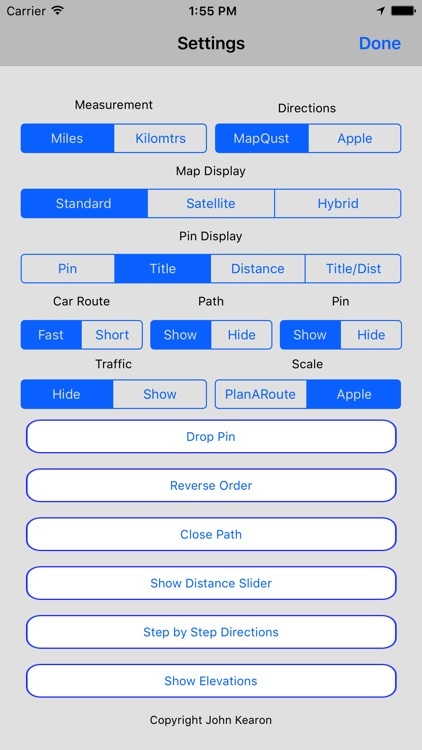 ▪ Standard, satellite, and hybrid maps can be displayed. ▪ Individual Locations can be passed to and opened in Apple Maps or Google Maps (if installed). ▪ If desired, an elevation chart can be created for a route.